This highly pigmented water-based liquid makeup dries quickly and completely. It is formulated to be smudge-proof and last longer than ordinary liquid makeup, while maintaining a creamier texture. Mehron's Liquid Makeup is the professional's choice for all types of applications. 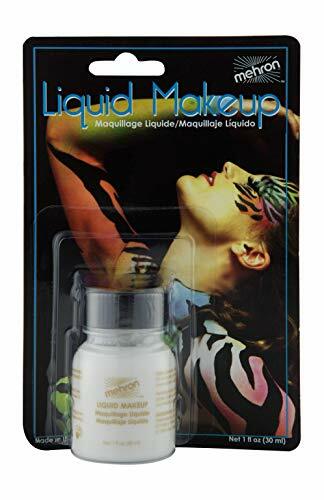 Easily dilutes with Mehron's Mixing Liquid to create a great airbrush makeup.How to Use:Liquid Makeup may be used with a sponge, fingers or a brush. Apply directly to the skin. 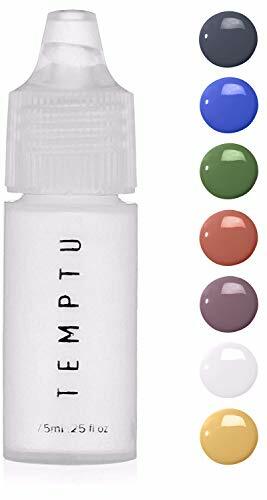 It can also be diluted with Mixing Liquid in equal parts for use as an airbrush makeup (great for large cast scenes and full or partial body coverage). 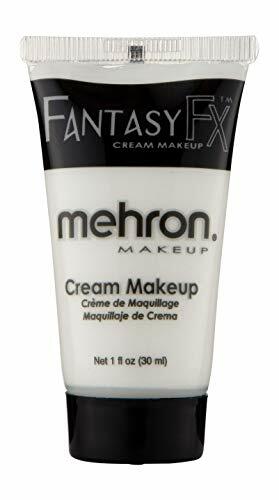 Liquid Makeup is also used to create custom colors of Liquid Latex or 3-D Gel.The Mehron Story:Mehron Makeup has been the leader in professional makeup for over 90 years. Our products are used on the runway, stage, and movie sets around the world. Mehron Makeup is proud to offer distinct professional products for each of our three major makeup segments: beauty, body art, and performance. Proudly made in the USA since 1927. ProAiir Ink is a line of airbrush ink that's a dream come true for every temporary tattoo artist. ProAiir from ShowOffs is the smoothest flowing, longest lasting, most durable temporary airbrush tattoo ink ever made. 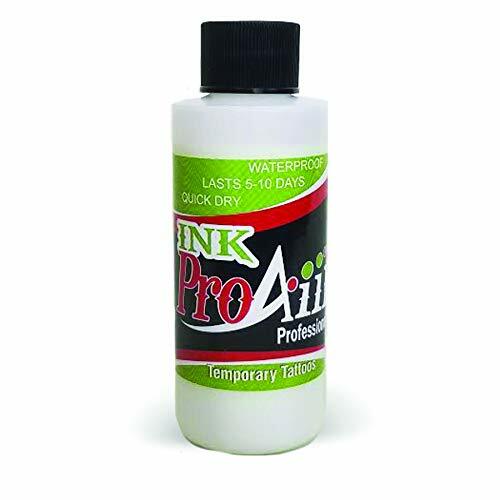 ProAiir professional grade ink is available in 2 and 4 ounce sizes at extremely affordable prices. ProAiir is an alcohol based tattoo ink that's manufactured in the United States using only FDA approved cosmetic grade alcohol and pigments. For waterproof airbrush tattoos that last up to 14 days when applied correctly, get ProAiir! Handy Art-Face Paint. 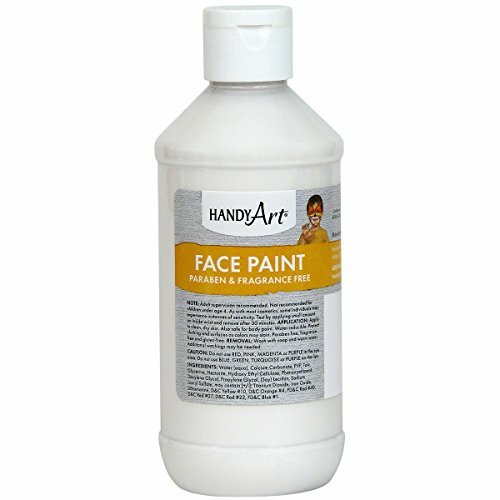 Handy Art face paint offers paraben and fragrance free creamy and bright opaque colors. Safe for use as body paint and is water-reducible. This package contains one 8oz bottle of face paint. Comes in a variety of colors. Each sold separately. Remove with soap and warm water. Recommended for ages 5 and up. Non-toxic. Conforms to ASTM D 4236. Made in USA. 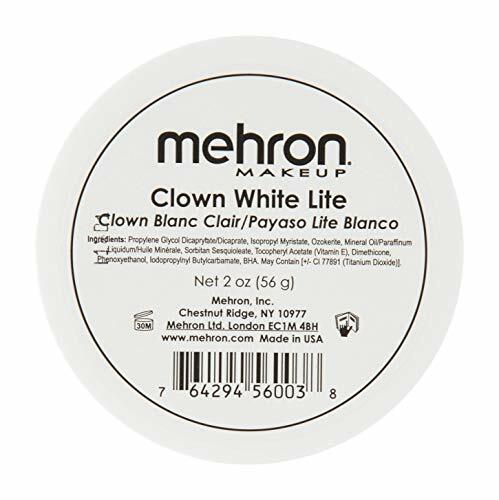 Mehron’s Clown White Lite offers an alternative consistency to traditional Clown White. The Clown White Lite formula is based on “European” style Clown White. Greaseless and talc-free, Clown White Lite is vitamin E enriched and contains silicones to create a light weight, firm cream makeup which can be used sparingly while still providing a bright white finish. Also perfect for adult clowns where a thinner, smoother makeup can be easily worked into creases and folds in the skin. Available in a variety of convenient sizes.